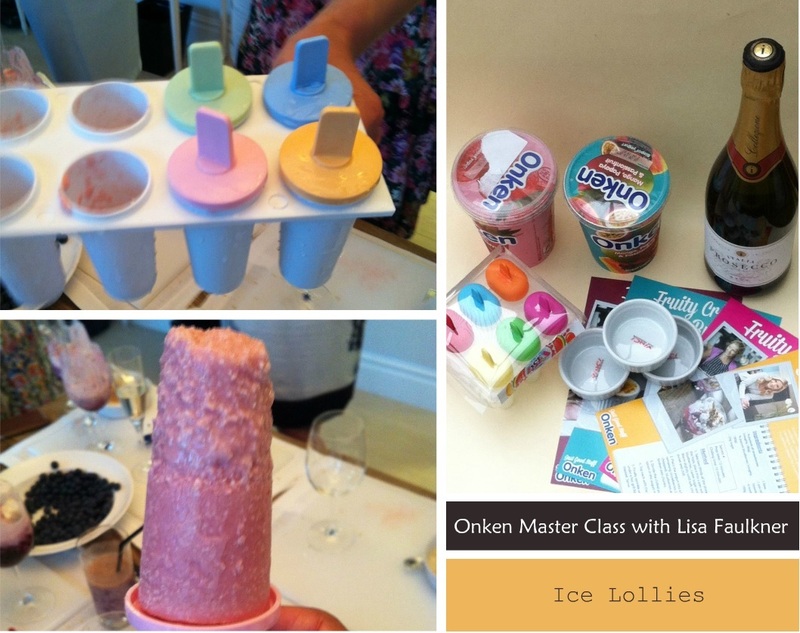 I recently attended another master class by Lisa Faulkner for Onken at the Terrace Suite at the Ham Yard Hotel. The theme for the master class was "Treat your self". Lisa showed us some wonderful desserts made with Onken Fruits and then we all had a go at creating our own desserts. 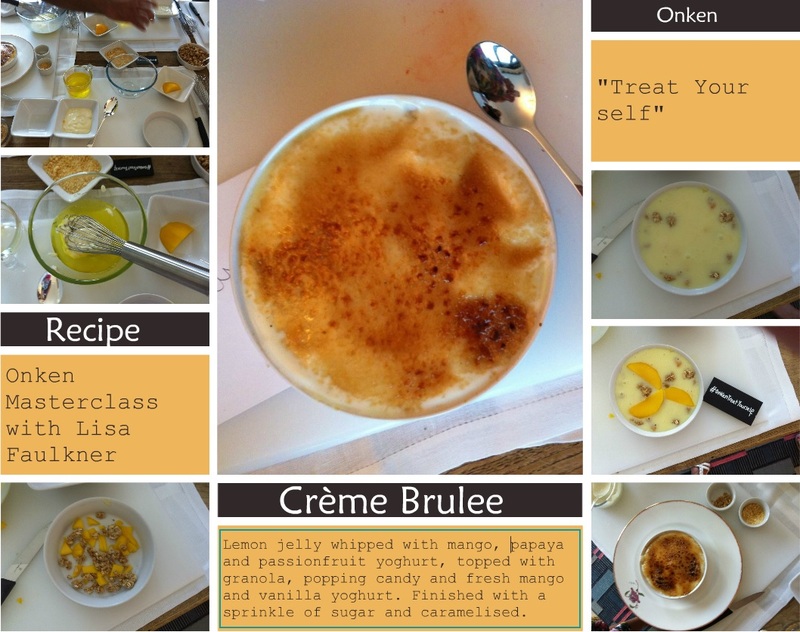 First on the agenda was the crème brulee, It was exquisite and so easy to make. Using the Onken Mango, Papaya and passion fruit yoghurt and fresh mangoes , the crème brulee was definitely very tropical and luxurious. 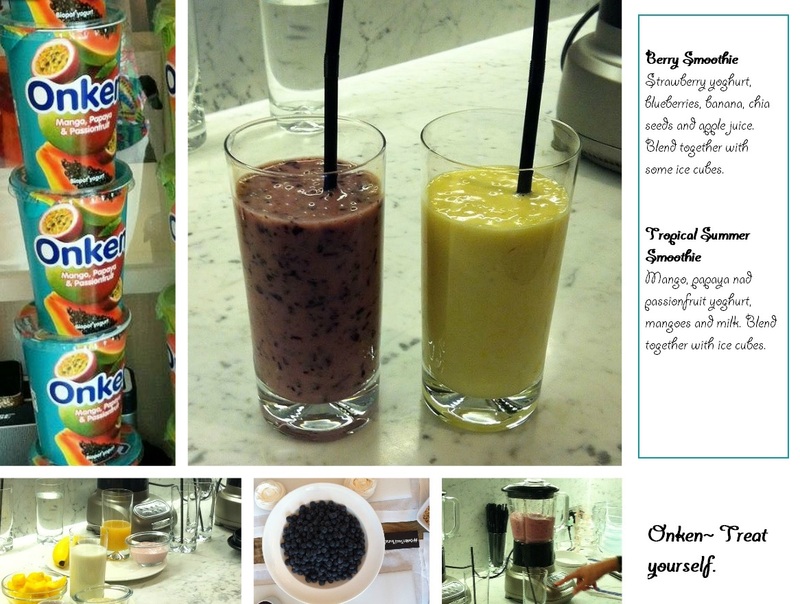 Next we made yoghurt smoothies, the healthy berry smoothie was packed with blueberries and chia seeds and all combined with fat free yoghurt. It was the perfect smoothie for breakfast. The Tropical summer smoothie made with the Mango, Papaya and passion fruit yoghurt and fresh mangoes and milk was ricjh and creamy and definitely my favourite of the two. The highlight of the session was the Eton Mess, a layered dessert made with delicious strawberry yoghurt, strawberry coulis, meringue and fresh blueberries and strawberries all garnished with hazelnuts. A majestic dessert that was truly delectable. The evening ended with some refreshing and cool Mango, Papaya and passion fruit Ice lollies and Strawberry and coconut Ice lollies. I had a wonderful time at the Master Class and came home with lots of Ideas and Inspiration to create desserts with the Onken Fruit range.I would like to Thank Onken for Inviting me and for the lovely goody bag they gave me. Hmmmmmmm. I class all about things you do with yoghurt. Yes please. Especially the Eaton mess. desserts look so delicious and tempting. I love the Onken mango, papaya and passion fruit yogurt. Its so delicious on its own. Yummy Yumm... Must have been inspiring to get a lot a ideas . The creme brulee looks delicious. 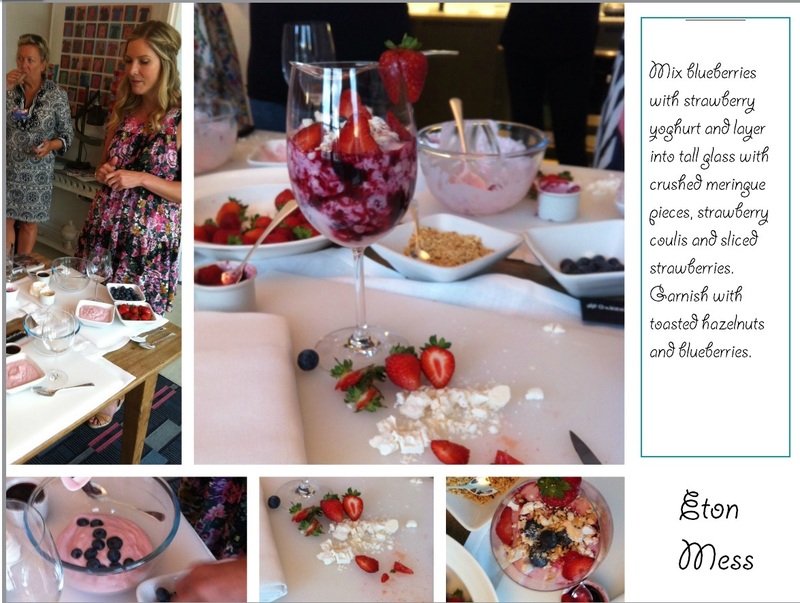 looks like you had a fantastic evening Nayna and there are some fab ideas on what you can do with yoghurt.